1 Bedroom Ground Floor Flat For Sale in Nottinghamshire for £100,000. Apartment 5 - Is a studio apartment, open plan living area and bedroom with seperate kitchen and bathroom plus an allocated parking bay! PELHAM HOUSE - An exciting new development of 1 and 2 bedroom luxury apartments. Close proximity to Nottingham City Centre, with allocated parking for each apartment. They are ideal for owner occupier or a buy to let investor. Developer is offering an opportunity of serviced apartments! A beautiful period property of 10 apartments that has been developed by highly regarded local developer 'Earl & Pelham.' The developer has incorporated a modern twist to each apartment but preserving the original character of the listed building. Each apartment is unique and will be finished to a high specification with contemporary fitted kitchens including integrated appliances, shower rooms, high ceilings and double glazed windows throughout. 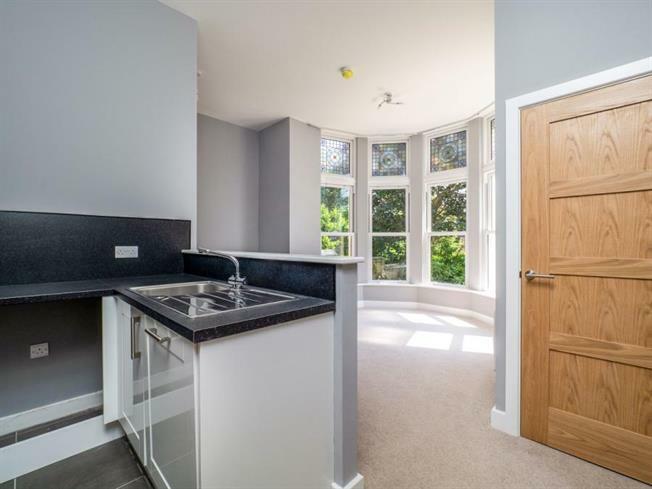 The apartments are situated in this central location within a 1.25 miles North of Nottingham City Centre with regular bus routes nearby and local amenities. Each apartment will benefit from a designated car parking bay, intercom system and 10 year warranty. Equally suited to the owner occupier or buy-to-let investor as we anticipate yields of between 6% and 7%. Service Charge - The anticipated service charge will be from 550 PA for the term of 999 years. Please call us on 07711 909 497 to organise a viewing, to appreciate the beautiful architecture and design of this development.